Duane Stephenson started out with his High School pals in a group called To-Isis who emerged from the performing ensemble Cathy Levy Players. To-Isis (to everything beautiful) was formed within the Cathy Levy Players in 1996. The members of the former 7-member group, (now 5) were all major players in this company. The group embarked on their recording career with the release of their debut single Ghetto Pain, in 2003 and its accompanying music video. This song was written by Duane Stephenson, produced by Dean Fraser and arranged by Ewan Simpson and Dean Fraser. To-Isis (to everything beautiful) was formed within the Cathy Levy Players in 1996. The members of the former 7-member group, (now 5) were all major players in this company. The group embarked on their recording career with the release of their debut single Ghetto Pain, in 2003 and its accompanying music video. This song was written by Duane Stephenson, produced by Dean Fraser and arranged by Ewan Simpson and Dean Fraser. The follow-up single and video for Heavens Will Rise Up premiered on Entertainment Report on Television Jamaica on Friday, January 16, 2004. Again written by Duane Stephenson, Renardo Lewis and Robert Morgan and produced and arranged by the same team as Ghetto Pain. In 2005 To-Isis signed on to the official face of the Juici Patties 25th anniversary celebrations, also writing and recording the theme song and video for their One Jamaica campaign. 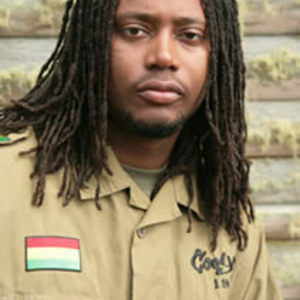 Duane Stephenson recently went solo and has 'opened' for a several local and international artistes in Jamaica and overseas. He performed at Reggae Sumfest last summer as a solo artiste.